The closing weekend of MLQ will be anything but uneventful. In the North and West, we have a battle for first. In the South, one team will walk away with a highly-coveted MLQ Championship bid. The North finally gets the series it has been waiting all season for: Rochester Whiteout vs. Indianapolis Intensity. Granted, with Team USA keeper Shane Hurlbert sidelined, the matchup loses some of its star power but the anticipation is still there. Few series live up to their hype, but this is one that will. Both teams enter this weekend with just a single loss (Cleveland Riff vs. Rochester Whiteout, 130*-100) and only two snitch-range games (Indianapolis Intensity vs. Detroit Innovators, 100*-130 [OT], and the aforementioned loss) between them. And both teams enter this weekend, looking at the series as their first step on the road to an MLQ Championship title. When facing off in the past, the games have favored the home team. Indianapolis looks to break that trend this weekend, bringing a championship-esque roster to do so. They come into this series with two more out-of-range wins this season than in their two previous combined. However, in their recent series against the Detroit Innovators, Intensity struggled in the absence of primary ball carriers Blake Fitzgerald, Nick Kaufman and Anthony Votaw. Despite this, Intensity was still able to take Detroit out of range twice on the way to a sweep and come in ready to reclaim the North. Further north, the Whiteout walked away from their first match of the season–Rochester vs. Detroit–celebrating the first-ever shutout in MLQ history–twice. But it hasn’t been all success stories–the Whiteout are still reeling after their first loss of the season on a relatively unimportant game against the Riff (130*-100). It should be noted that like Indianapolis, Whiteout was missing their top quaffle player in Jon Jackson for the games–although they did win the series over Cleveland. This time around, Jackson is rostered along with keeper Basem Ashkar. But will that be enough to face the strongest quaffle line Indianapolis has ever had? In the beating game, look for Rochester to lean heavy on Sara Smacher for big minutes and Indianapolis to combat her stamina with a quad of top-level non-male beaters. The games should fall like in years past: multiple in-range games on the way to crowning the champions of the most contested division in the league. This weekend, the Los Angeles Guardians will face their first true challenge as they try to earn the program’s first undefeated record and second West Division title in a battle against the San Francisco Argonauts. With the Guardians down their coach Chris Seto and several of their best beaters, the Argonauts may have a legitimate shot at pulling off the upset and finally securing a major victory for Northern California. In their series against both the Phoenix Sol and Salt Lake City Hive, the Guardians quaffle players were gifted constant driving lanes and fast breaks courtesy of their significantly superior beaters. Each of their games were seemingly decided in a matter of minutes, as the Guardians’s Lost Boys-filled starting line racked up fast and fairly effortless points. This weekend, however, the Guardians may have to rely on actual ball movement and chemistry on offense because coach and star beaters Seto and Peter Lee won’t be in attendance. These absences may be a future blessing in disguise, as they will force ball carriers Kyle Epsteen, Duran Allison and Michael Richardson to work on their fundamentals before next month’s championship, but they do spell trouble for a team hoping to sweep the Argonauts as easily as they swept the Sol and Hive. Several of the Guardians chasers have demonstrated impressive tackling form thus far this season, and they will need to sustain that intensity if they want to keep their opponents from capitalizing on their slightly diminished beater corps. The Argonauts might have actually been able to challenge the Guardians at full strength, so the absence of Seto, Lee and Andrew Burger will undoubtedly allow them to enter this series with confidence. In their second game against the Salt Lake City Hive this season, we saw what the Argonauts’s beaters are capable of at their best;they smothered the opposing offense and barely even let the Hive cross into their half of the pitch before forcing a number of immediate turnovers. Anna Huang and Elsa Lem’s conservative and intelligent style of beating and maintaining bludger control make them perfect partners for David Saltzman, allowing him to use his speed and aggression to create chaos on both sides of the ball. Willis Miles’s recent injury may keep him from playing at his standard level, but dialing down his usual style and focusing on holding onto control when partnered with Saltzman may be enough to give his offense the opportunities they need. Both Sam Harris and Andrew Covel have been underrated ball handlers in the West for years, and their passing abilities combined with Sean Booker’s size and driving skill will allow the Argonauts to stay in games so long as Saltzman is able to create a few momentary lanes. Unfortunately, the Argonauts seem to need a warm-up and tend to play their best during the second game of each series, before falling apart in their third game: they lost game three to both Salt Lake and Phoenix after beating those teams in the first two games. This series may come down to whether or not they still have anything left in the tank in their last game against the Guardians. 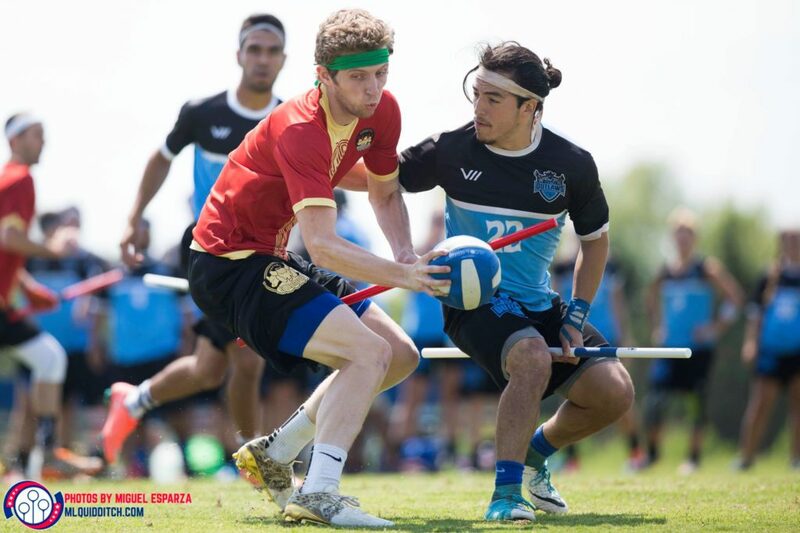 New Orleans Curse and Kansas City Stampede face off this Saturday in Overland Park, Kan. for the final spot to League City to compete in the MLQ Championship. Although the loser may very well be the most skilled fourth seed team in the entire league, only one of these teams can advance. 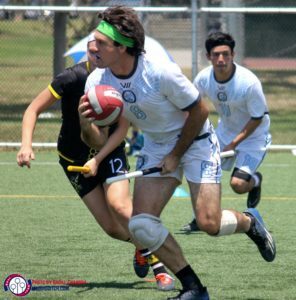 Both come into this weekend with a 1-5 record; Curse’s only win came against League City in a thriller that darted in and out of snitch range, whereas Stampede’s sole triumph came in a tiring game against League City that ended after forty minutes with no snitch catch. 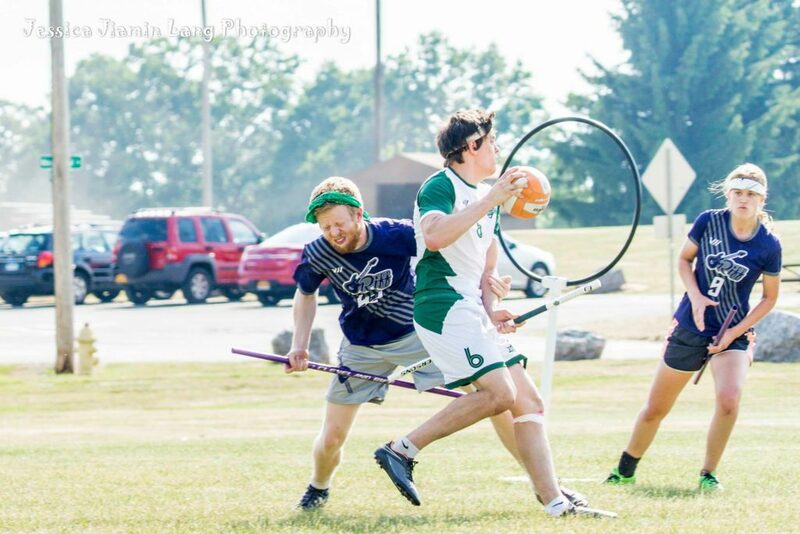 While Stampede are playing with a complete beater corps, the same cannot be said about their quaffle game: Adam Heald, half of Stampede’s top-scoring duo, will be noticeably absent for this series. While keeper Aaron Stout has scored an equivalent amount of goals, Heald’s absence will still make an impact. During the League City Legends series, when Stampede were in danger of being overwhelmed by their opponent’s quaffle play, Kansas City rolled Heald off-ball as a wing chaser with Stout as ball handler. The result was nightmarish mismatches that lead to Heald or Stout calmly walking in a goal after a pass from the other. But it will be harder to pull off that dynamic this time around. For New Orleans Curse, the roster is even more depleted. Curse are playing with only 17 players–and without Brittany Laurent, arguably the best non-male beater in the South. In Laurent’s stead, Curse rostered Alex Pucciarelli, who has not played a series yet, and Mari Nerbovig. They are up against a Kansas City defense that is one of the most physical in the league and against one of the best beater pairs in the league: David Becker and Rachel England. Despite boasting their most complete male beater line yet with Joshua Mansfield’s career-defining season and Jason Winn, Curse will still fight an uphill battle this weekend. Stampede beater Ryley Andrews has defended 26 beats this season, the third most in the league. Andrews is a nightmare to face in one-on-ones and the addition of Jake Simon and Kaija Dewsbury to the beating lineup means that–unlike during the League City series–these Stampede beaters have the skill and depth to avoid exhaustion. Stampede’s series against League City saw multiple two-male beater sets as they attempted to match the Legends’s aggressive beating.That would be an enormous mistake here. Stampede is down their primary scorer and is second-to-last in the league in the percentage of goals scored by their non-male chasers. If Curse decide to use a two-male beater set to best conserve their team’s energy, Stampede’s best hope will be to try to match it using a standard mixed beater set. However, Curse’s male beater depth may help them during snitch-on-pitch play. While Stampede’s Andrews may still be second in beats defended, Curse beaters Mansfield and Winn are second and fourth respectively in beats defended per drive played. In short, these two are monsters in one-on-one faceoffs that occur during snitch-on-pitch play. While New Orleans are by no means a perfect team in snitch-range situations, they are better than Kansas City this season. The only game Stampede has won ended with no snitch grab. While Kansas City have the balance and the strength to pull out of range in each game, New Orleans’s revamped beater corps has what it takes to control the game–especially when the snitch is on pitch. Expect a three-game series where the question of who gets to go to MLQ Championship is answered at the last second.